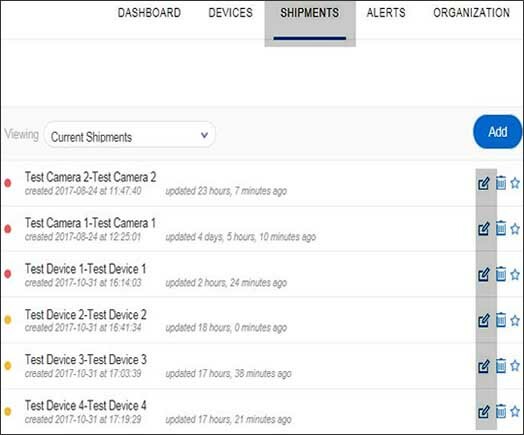 The shipments tab displays active, pending and completed shipments. Underneath the device identifier and serial number, the last updated information and data points are displayed. Entra al Cold Chain portal. Click the Shipments tab then view the shipment info. Click the Edit icon . 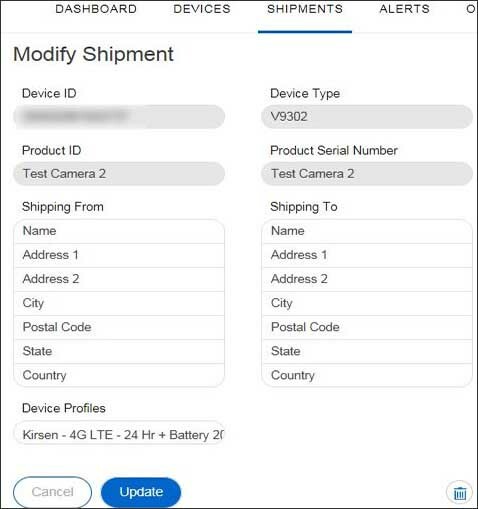 The OTA (over the air) communication of the device specific configurations requires the device to be powered on shortly after the shipment ‘Save’ has been selected. Click Add (located at the top right). From the 'Device ID' field, enter the device info.